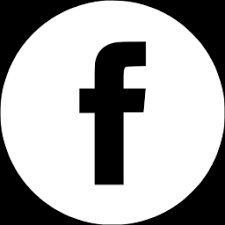 Apocalypse Films adaptation of Fyodor Dostoevsky’s psychological thriller, Crime & Punishment, has been celebrated with multiple awards in mid-2016. Crime & Punishment has already picked up seven Best Film awards and three acting awards thus far with more Nominations and Official Selections adding to the list. 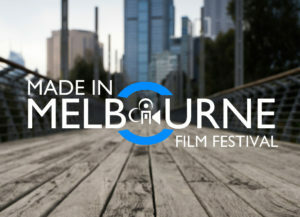 In home soil, Melbourne Australia, the film has been embraced by two of the major festivals; the Made in Melbourne Film Festival and the Melbourne Underground Film Festival. These two very popular festivals awarded Crime and Punishment the BEST FILM awards respectively. 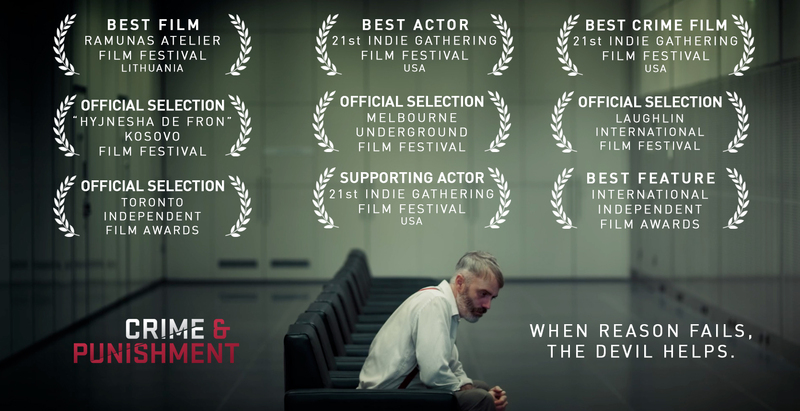 MUFF also tapped the film for Best Actor (Lee Mason), Best Director (Andrew O’Keefe) and Best Screenplay. We are thrilled to be recognised by these wonderful festivals. Many thanks to Festival Directors Richard Wolstencroft (MUFF) and Ivan Malekin (MIM). Across the ocean, the 21st Indie Gathering in Ohio, USA, turned out to be a very successful outing for the film, winning the award for Best Crime Drama. 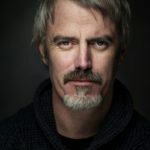 Even more impressive is the two acting awards that the film collected; Lee Mason took home the Best Actor award for his menacing yet touching portrayal of the tortured Raskolnikov. Christopher Bunworth was tapped for Best Supporting Actor for his performance of Raskolnikov’s foil, Inspector Porfiry. 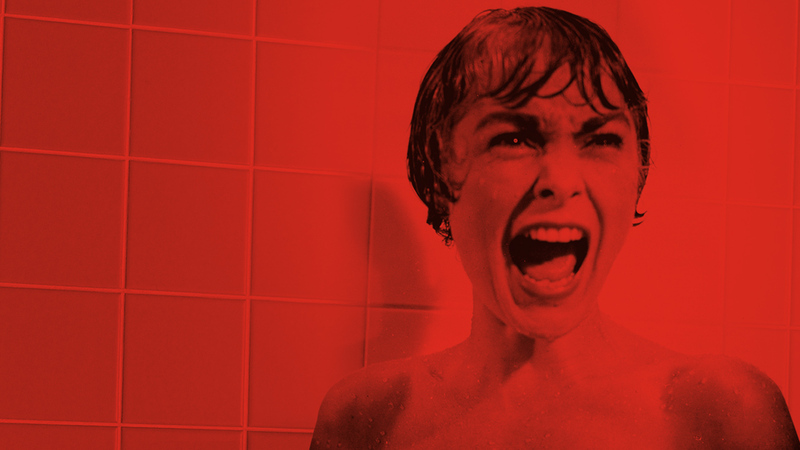 The two actors are the lynch-pin of the film’s narrative therefore it is fitting that they were acknowledged in this way. 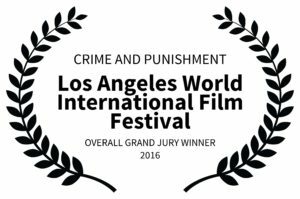 Also in the Unites States, Crime & Punishment, won the GRAND JURY PRIZE at the Los Angeles World International Film Festival. The film screened at the lovely Crest Westwood Theatre in Los Angeles. 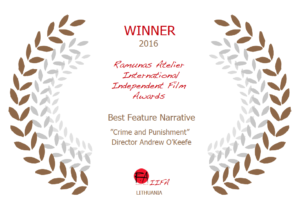 In Lithuania, the Ramunas Atelier International Film Awards bestowed the Best Film award on Crime and Punishment in early October 2016. The festival takes place annually at the historic village Mickūnai, near capital of Lithuania, Vilnius. Apocalypse Films is also proud to make mention of the Platinum Award for Narrative Feature that Crime and Punishment earlier this year at the International Independent Film Awards in Toronto, Canada. Hitchcock/Truffaut is more than a book about filmmaking; it's evidence of a milestone in the history of cinema. 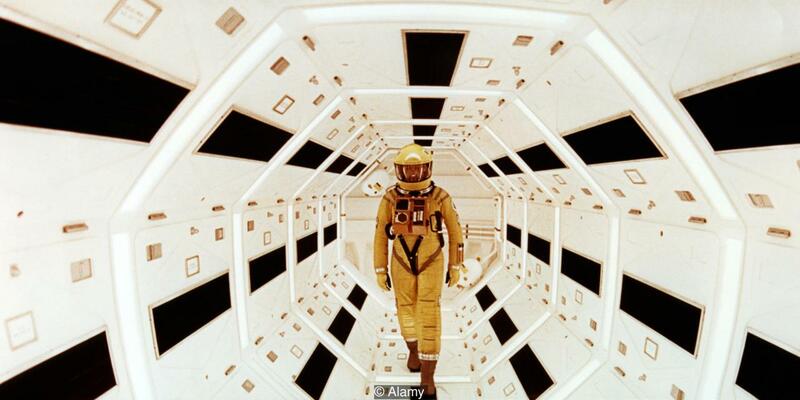 Apocalypse Films' debut feature film, The Independent, is now available online. Australia’s preeminent film reviewing couple, Margaret Pomeranz and David Stratton called the film “Charming… poignant… brave”.